If you're planning a trip to the Blue Ridge or Appalachian Mountains in the southeast region of the United States, you'll want to be sure to include several North Georgia attractions on your itinerary. There are many things to see and do in this region, which begins just above Atlanta in Commerce, GA and goes all the way to the North Carolina state line. The Alpine village of Helen is one of the most popular vacation destinations in the state of Georgia. 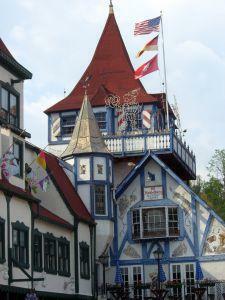 When you arrive in Helen, you'll feel like you have stepped back into a Bavarian Alpine village from days gone by. Shopping and dining opportunities abound in Helen year round. You'll find delicious food on every corner, including an eclectic mix of authentic German cuisine and genuine down-home southern cooking. There are more than 200 specialty shops in the village, and the nearby outlet mall is a paradise for bargain hunters. Those who enjoy outdoorsy activities will find plenty to do in Helen, with choices in day trip activities ranging from river tubing, fishing, horseback riding, canoeing, and much more. If you plan your visit between mid September and the end of October, you'll have an opportunity to enjoy the longest running Oktoberfest celebration in the south. There are many other festivals throughout the year, including Winefest, Volksmarch, a hot air balloon race, and many other special events. Two decades before the California gold rush, the town of Dahlonega, GA was home to a sigificant amount of prosperous gold mining activity. The story of how the American gold rush began in North Georgia is told in the Dahlonega Gold Museum. The museum is located inside the Lumpkin County Courthouse. As the oldest courthouse in the state, the building is listed on the National Register of Historic Places. A branch of the United States Mint operated in Dahlonega from 1838 to 1861, and some of the coins made in the facility are on display in the museum. Additional exhibits include a gold nugget that weighs more than five ounces and a cannon and nozzle that were used to blast soil from the mountains for mining purposes. Visitors also have the opportunity to see a film about the Georgia gold rush and tour the historic courthouse structure. Kids may enjoy panning for gold at one of the area's many tourist "mines". If you want to get a real taste of what historic Appalachian life was like, a visit to the Foxfire Museum in Mountain City, GA should be included on your list of the North Georgica attractions you have to see when you visit the area. A tour of this unique historical museum can be educational and enjoyable for children and adults alike. 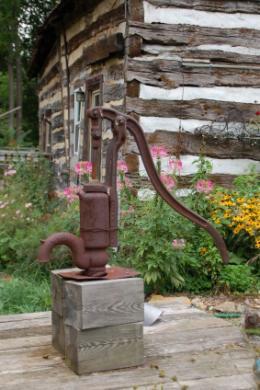 The Foxfire Museum consists of 20 different log cabins, some of which date back to the early 19th century. Unicoi State Park http://gastateparks.org/net/go/parks.aspx?LocationID=98&s=0.0.0.5] is one of the most scenic and frequently visited state parks in Georgia. Conveniently located just a few miles from Alpine Helen, Unicoi is central to many North Georgia attractions. Many people chose to make the park's cabins, lodge rooms, or campsites their home base for trips to the southern Appalachian mountains. The park is a paradise for outdoor enthusiasts. 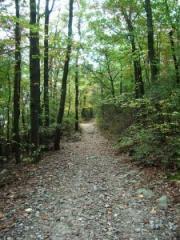 Visitors can hike to Anna Ruby Falls, and enjoy many other hiking and biking trails. Fishing, swimming, and pedal boat rentals are also available in the park. Visitors will also enjoy the an on-site restaurant that prepares delicious buffet style meals every day. The state of Georgia has developed quite a reputation as a producer of quality grapes and wines. Several of the most well-known Georgia vineyards are located in the mountains of North Georgia. When you visit one or more of the area'd wineries, you'll be able to taste fine Georgia wine where it is produced. These are just a few of the many wonderful North Georgia attractions you may want to tour when you visit the area. Visit the Northeast Georgia Mountains website to learn about the many other activities throughout the region. You'll also find lodging, dining, and travel information on this website. No matter what you decide to see and do, your getaway to the foothills of the Appalachian and Blue Ridge mountains is sure to be a vacation to remember.